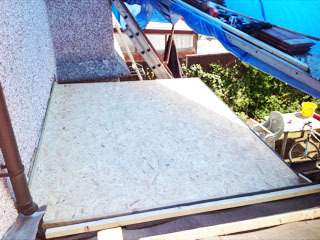 Flat roofs on domestic and commercial properties. Firestone rubber. 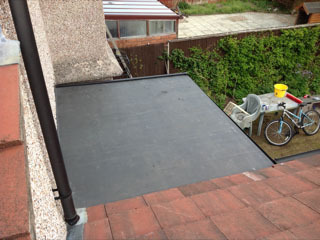 We fit flat roofs to all types of domestic and commercial properties. 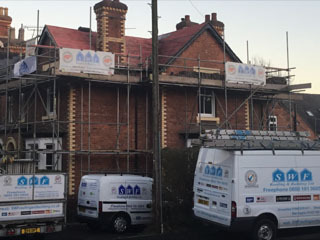 Contact us for a free no-obligation quote. 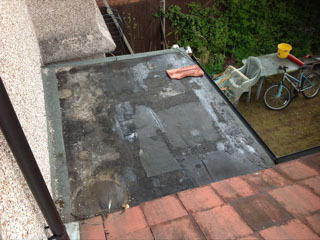 We can repair or replace flat roofs in felt or Firestone RubberCover™ System on any domestic or commercial properties. 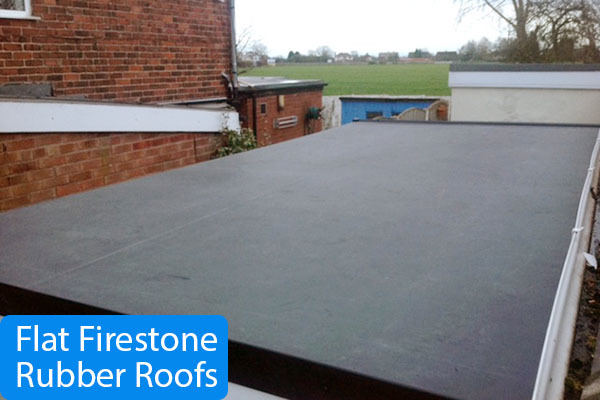 We are approved installers of the Firestone rubber fat roofing systems, the leading manufacturer of the Firestone RubberCover™ EPDM Roofing. This is guaranteed for 20 years and has an expected lifetime of 50 years and is maintenance free. Firestone RubberCover™ EPDM is a 100% cured single-ply roofing membrane made of a synthetic rubber Ethylene-Propylene-Diene Terpolymer. Since 1980, more than 1.000.000.000 m² of Firestone EPDM membranes have been successfully installed on commercial, industrial and residential roofs worldwide.